There is no shortage of makeup videos on the Internet. We live in a time where beauty gurus of all ages and genders have taken over YouTube to share tutorials on everything from elaborate, dramatic going-out looks using luxury products to everyday no-makeup looks with finds from the drugstore, and their videos saturate social platforms like Instagram and Facebook. In our opinion, it’s never been easier for soonlyweds to DIY their wedding makeup! 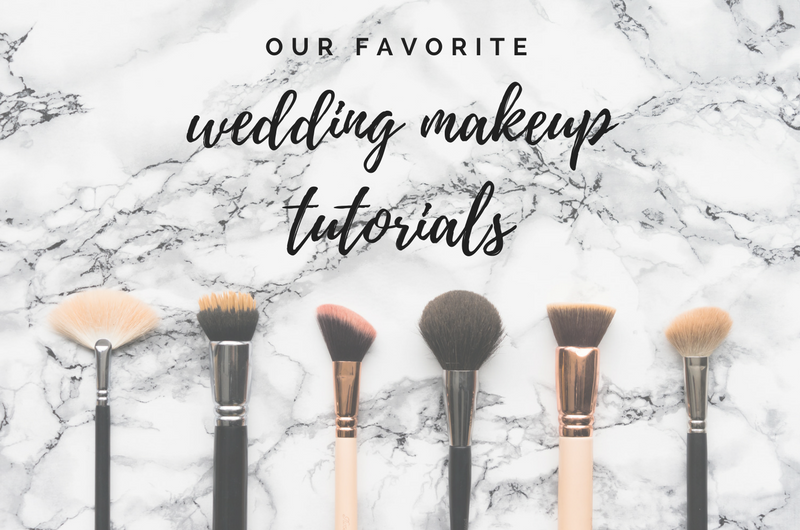 To save you some time from sifting through millions of videos, we’ve scoured channels and come up with our favorite wedding makeup tutorials for both men and women that offer good advice for beginners and lots of details on the best products to use. So whether you’re a DIY soonlywed who’s a newbie when it comes to makeup or you join the ranks of makeup masters who need some inspiration for the right look for your big day, these makeup tutorials will have you looking and feeling your best before you take that walk down the aisle. 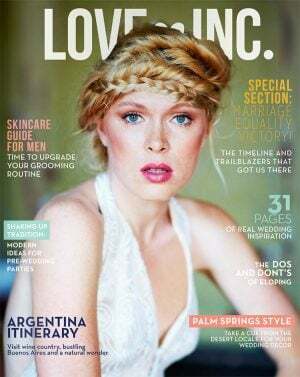 When we think of classic wedding makeup, this gorgeous, natural look is exactly what comes to mind. Using neutral colors to accentuate the eyes, a sweep of black liner across the lids and some bold false lashes, this easy-to-follow tutorial by Katerina Williams is great for all soonlyweds. Whether you’re a beginner when it comes to makeup, you don’t typically wear a lot of makeup or are looking for a conservative yet stunning look, this is a beautiful option for your wedding day! A smokey eye is the ultimate statement look, which is why we think it’s a beautiful choice for the bold soonlywed! If you’ve ever attempted the smokey eye and failed miserably (hand raise! ), then you know how easy it is to wind up with makeup that looks more like you’ve recently taken a punch to the face than mastered this highly sought-after eye look. But not to fear! Anchal’s Indian wedding makeup tutorial walks you through all the steps needed to achieve a wedding-worthy smokey eye! The no-makeup makeup look has become somewhat of a phenomenon, but it’s also the perfect go-to wedding look for many soonlyweds. If you don’t typically wear makeup but would like to smooth out your complexion for pictures or you want to wear makeup without looking too feminine, this natural makeup tutorial by Robert Welsh’s is filled with informative tips that are prefect for a beginner. This list wouldn’t be complete without a Jaclyn Hill video! Nearly 5 million people subscribe to Jaclyn Hill’s YouTube channel and for good reason. Her informative videos, eye-catching makeup looks and her genuine and goofy personality have landed her a top spot among the most popular beauty YouTubers. This in-depth bridal tutorial that she created in honor of her fifth wedding anniversary features a timeless, toned-down smokey eye with warm colors that are meant to amplify natural features, so you will still look like yourself on your wedding day, just with a touch of glam! Neutral colors are lovely, but a colorful makeup look really makes our hearts sing! This insanely gorgeous tutorial by Dominique has the perfect pop of color that is sure to make your eyes stand out. With a shimmery burgundy and beautiful metallic gold, these colors are subtle yet striking so your makeup won’t look overdone. We think this look in particular is the perfect match for a summer wedding at sunset! There’s no one else we could possibly turn to for a glam makeup look than Patrick Starrr, whose YouTube channel is filled with glamorous tutorials that more than 3 million people subscribe to. Patrick started doing makeup for weddings when he was only 17, so with a lot of experience under his belt, he created this stunning look that’s fit for an evening filled with glamour.